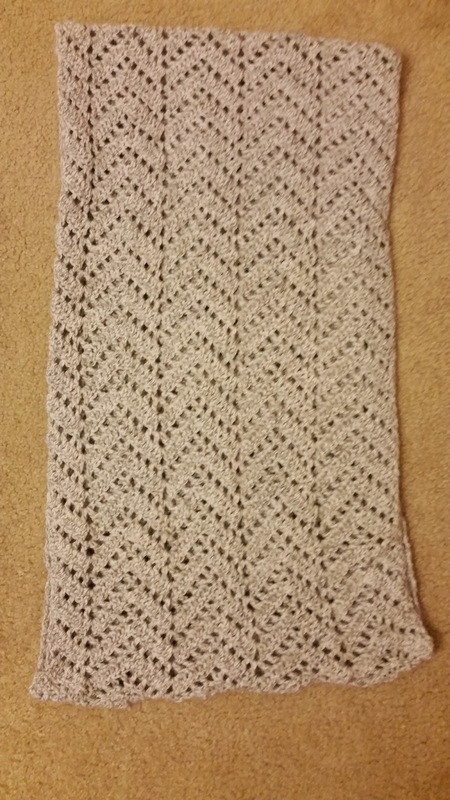 I finally got around to finishing this beautiful scarf for my co-worker. I started it a while back and kind of forgot about it until now. The pattern was provided by Tamara Kelly of Moogly. It's very well written, clear, and easy to understand. And as if that wasn't enough, she has plenty of pictures and even a video to help if you get lost. 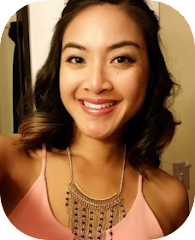 Tamara has a lot of other awesome tutorials on her blog that I will definitely have to check out soon. 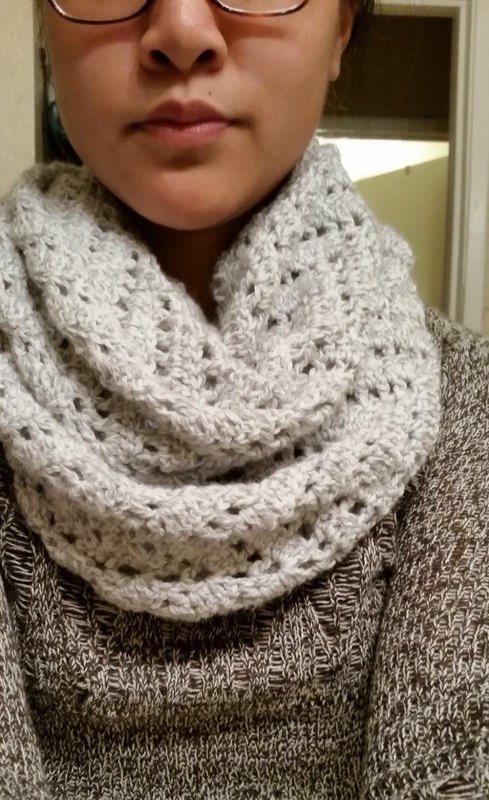 I used two skeins of Bernat Softee Baby yarn in Gray Marl and love the way it turned out. 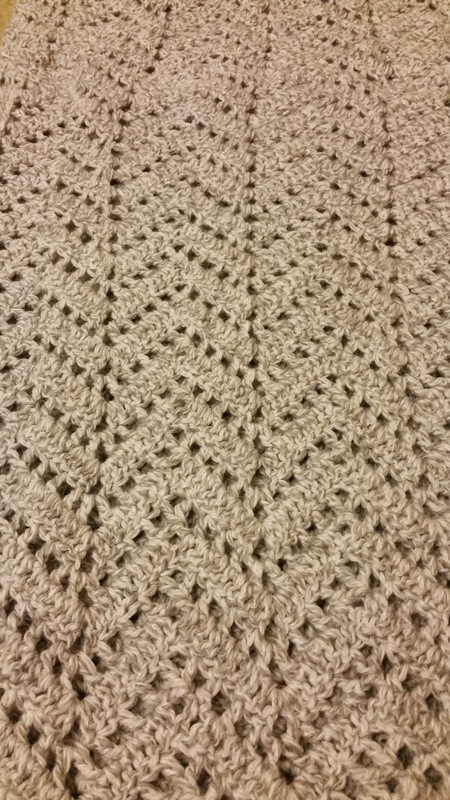 This pattern works best with a lighter weight yarn as it helps it to hang and look more lacy. I just love how the chevron comes out in this pattern. It looks so warm and chic! Instead of a regular scarf, I made mine into an infinity scarf by whip stitching the ends together, matching up the peaks and valleys of each end. It's very similar to how I seamed together my previous Chevron Infinity Scarf, but instead of slip stitching it together, I fastened off with a long tail and used a tapestry needle. You can hardly see the seam! My scarf measures 14 inches wide and 28 inches long when seamed together. You can see other people's version of this scarf on the Ravelry page for it. It's neat to see how everyone's turned out and what color yarn they used. I'll have to make one for myself soon!